Brakes are the most important part of your electric bicycle so it’s important to know a few things about them to ensure you enjoy a fun and safe riding experience. It’s also important to note if there’s a change in the sound of your brakes: a squeaking or rubbing for instance. If this is the case, it’s a good idea to take the bicycle to your local shop to have a bike mechanic look over it. If caught early, the fix will be a lot easier than if it persists and you find yourself having to replace a rotor rather than just a pad for example. Here is everything you need to know about electric bike brakes, along with a few simple maintenance tips. 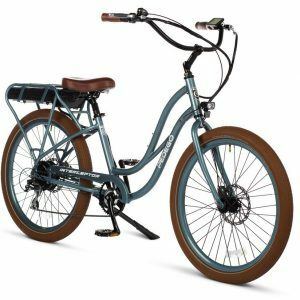 Pedego electric bikes are equipped with either mechanical or hydraulic disc brakes, which are different from calliper brakes that bicycles used to have. 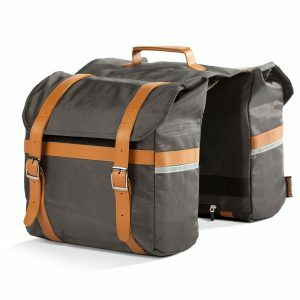 (Some bikes still do have them – they look like two arms resting on either side of your tire and when the lever is depressed, the pads on the end of the arms wedge themselves against the rim of your tire, slowing you down.) Disc brakes are similar to the brakes in your car in that there are rotors attached to your wheel hubs. When a brake lever is used, it activates (by cable or hydraulic pressure) a mechanism that engages the pads and they cinch against the rotor, providing the stopping power. As with car brakes, the pads wear out over time. (If you live in a hilly environment or an urban area where you’re stopping a lot, they’ll wear out quicker.) Therefore it’s a wise idea to inspect them regularly and the good news is it’s really easy to do. At the centre of both your front and rear tires are metal, disc-shaped rotors and each is seated in the grooves of the braking mechanisms. (See image below.) You may need a flashlight to get a proper look. There should be at least 1.5mm of braking material on either side of the rotor – that’s about the thickness of two business cards. Any less and it’s time to visit your local bike mechanic to have them replaced. For the mechanical disc brakes, you’ll notice red dials on the braking mechanisms on the front and rear tires and these are handy to make micro-adjustments on your brake pads. By twisting the red dials clockwise, the brake pads are moved closer to the rotor. This ensures you don’t have to depress the brake levers all the way back to the handlebars in order for the pads to engage. There should be about a 1.5mm distance between each side of the rotor and the brake pads. Again, you’ll want to ensure enough brake pad material is there to engage. What you don’t want is to have the metal backing that holds the brake pad rubbing against the metal rotor as that can damage it. 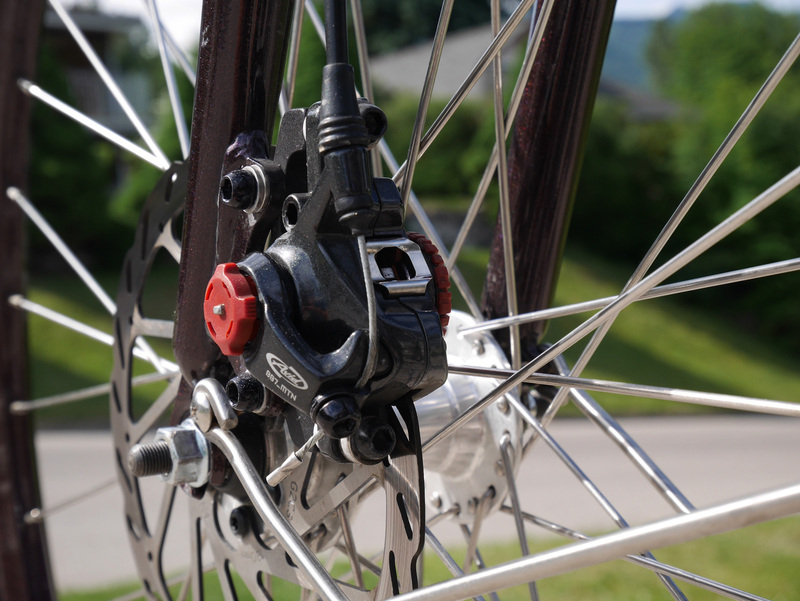 In the case of hydraulic brake units, they automatically adjust the space between the rotor and brake pads. If your brake levers are almost hitting the handlebars when you put the brakes on, and you can’t adjust this as described above, it’s time to take the bike to a mechanic for a tune up. 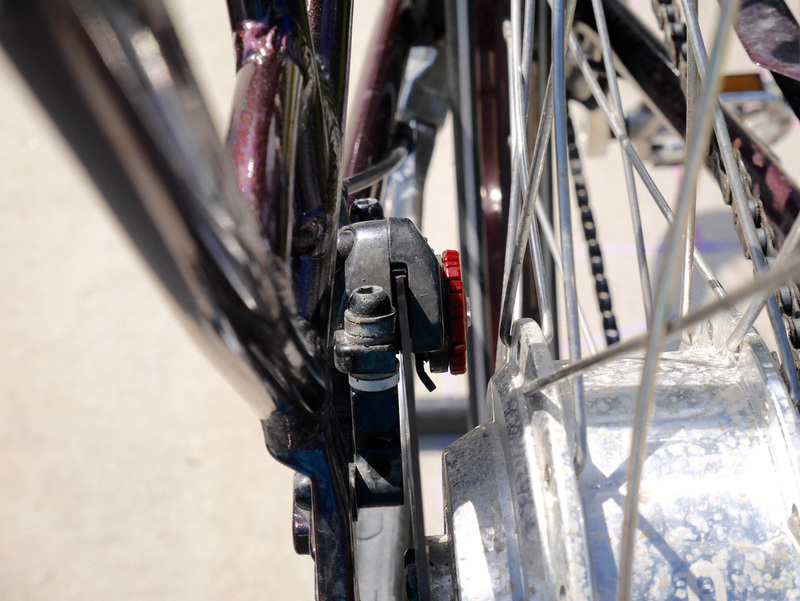 If your electric bike brakes are making noises, whether squeaking or squealing, we recommend you read the excellent article by Pedego Qualicum Beach bike mechanic Jessica Skelton called, “Cleaning Squeaky Brakes“. If the noises persist, get an expert on the job and take your bicycle in for a tune-up.